Access new business and policy holder services forms organized by carrier, state of issuance and product type. Streamlined application options to save you valuable time. Select from iGo, drop-ticket, fully underwritten, simplified and accelerated underwriting platforms. 24/7 secure and confidential online access to your case data. View pending case data, licensing, contracting and commission data and display the full book of submitted and placed business. Everything you need to know about the contracting process including: basic contracting requirements, how to get contracted, and downloadable contracting kit for new and existing CPS producers. Quote all of your favorite insurance products with a click of the mouse using Vital Suite and WinFlex Web online quoting solutions. In seconds receive a response from top carriers. The expertise of our staff of underwriters, our established relationships with many of the industry’s top impaired risk carriers, and our substantial production levels assure you the best offer. We are on top of the industry, supplying not only a comprehensive, diverse portfolio of annuities but also the best in market support services. We offer a wide range of disability income products, and we understand the complexities of this specialized segment. We have a passion for sound long-term financial planning. We continuously research and evaluate the best products the industry provides. We help you offer your clients options to suit their needs. We constantly analyze trends in the industry to provide you and your clients with the most innovative and complete services available. Our mission is to love as many people as possible every day, while providing opportunities, protection and peace of mind to our families, colleagues and communities. Industry leading experience, a proven turn-key system, shared best practices and comprehensive practice-building resources. Recognized as a leader in our industry, we believe in giving back to our communities. Above all, we value our reputation for integrity, developing solid partnerships and commitment to excellent service. Since 1974, we have continued to grow organically as an organization, while successfully retaining our core values. We all share a common cause to partner with one another to present the best possible solutions for our clients. We openly share ideas and collectively seek out creative and innovative ways to better serve our clients. We foster collaboration while upholding individual accountability. We recognize one another’s accomplishments and make an effort to create an efficient, friendly and fun work environment. Creativity is the driving force that continues to move CPS forward. To remain competitive, we must continue to use innovative thinking and take risks. We thrive in this environment by constantly bringing fresh perspectives, reinventing business processes and creating innovative strategies and meaningful solutions. We never forget that our clients have a choice as to where they can do business. Therefore, we are committed to offering best-in-class service and are dedicated to optimizing tried-and-true standards and processes. We collectively share accountability for gaining our clients’ loyalty and trust. No matter what our role within the company, the goal is to be the best that we can possibly be. Evolution should be constant through our efforts to always search for a better way to do our work. We develop trust by upholding the highest ethical standards and practices. We emphasize our commitment to act with integrity and honesty in all interactions with our clients, fellow team members and our communities. We treat others as we wish to be treated – no excuses. We never forget that we have the ability to make a significant difference in the lives of others. We ensure that our passion and pride is demonstrated in everything that we do and every product and service that we represent. I have been meaning to relay my gratitude to you for all the help and guidance that you have been providing along with the continued good handling of issues as they arise around the several 401k client plans we have been working on together. Your insight, mastery and professionalism have made things a delight. Thank you for all the help! My processes and approach have been enriched because of your guidance and subject matter expertise. And for that, I am enriched professionally and personally. May I someday be able to pay it forward. We partnered with CPS in 2014 and not only has it been pleasant but also an extremely educational experience. They are key to our agency and have the tools necessary to meet the needs of our clients. Their team is exceedingly knowledgeable and will give you step by step guidance on completing applications, quoting, and electing the right carrier for your clients. They have been a game changer for our agency and we look forward to continuing our business relationship with them for years to come. The Annuity Team at CPS is best in class! The knowledge and know-how they possess is far superior than any other firm I have worked with. I very much appreciate the support they provide me. CPS is superb to work with. We appreciate their prompt responses, attention to detail, and expertise from running illustrations to finalizing a policy. Customer services at its finest! We have found CPS to be a “5 Star” rating and highly recommend working with CPS. I enjoy working with CPS because they employ genuine, caring individuals. They have always made me feel like our clients are valuable and important, which in turn makes our relationship valuable and important. Whether it is their Life or Annuity Department, or their LTC and DI teams, CPS is top notch. Thank you for assisting in making the future brighter for our clients. As a career broker for almost two decades I've dealt with many GA's and CPS is top shelf. They are a great resource!! Always very responsive, professional and helpful. CPS was highly recommended to me by a broker buddy of mine a few years ago and he was right on the money. I value relationships - because I am not looking for a transaction but a client - one that will be there for a long time. That same value is extended by CPS and their staff with me. I am not married to any carrier or their products but what is best for my clients. I love the Brightbox email marketing system that keeps me in touch with my clients monthly - this has helped with referrals. CPS Insurance Services offers excellent and over the top help in making me a much better annuity advisor. Scott White, for many years now, provides me with up to date insight and direction in annuity selection and design. He enables me to better serve my clients; and this leads to an increase in my annuity production. He shows that he truly cares about helping me. Scott has annuity and financial knowledge that sets him at the top of his peers. Erika Usher provides outstanding assistance in my annuity application submission and case follow up. She "holds my hand" with unbeatable professionalism and a real caring spirit and has often pulled me out of some holes that I have dug. I am proud to endorse and recommend this league leading annuity team at CPS Insurance Services! CPS has been outstanding with their support and professionalism in working with our team and our clients. They always provide fast solutions to most anything we ask of them, and they do it with enthusiasm, and a smile. I can’t say enough about how much value they have added to our office, and our clients. Way to go CPS, and thank you! I want to extend my sincere appreciation for the help that Ryan Tolson has been with my challenging case. Ryan was very attentive in responding to my concerns as well as keeping me abreast of the underwriting needs. Moreover, he was proactive in requesting what we should have ready for the underwriters prior to them requesting it. I appreciate the help and look forward to future opportunities to work with him. I have experienced working with other General Agencies over my 30+ years in the business. Since I joined CPS, I have been extremely pleased with the great service I receive from Matt Gandy and his team. I can count on them to provide me with the most competitive products with quality companies. Our agency is provided with marketing support, sales ideas and excellent case management. Sandi Sanders, CLU, ChFC, SSG Insurance & Financial Services, Inc.
My long standing relationship with CPS is founded on trust, reliability, mutual problem solving, and most important, responding quickly to my requests. My interest has and always will be centered on partnering with clients and carriers. CPS provides a partnering philosophy in all aspects of their business - life, disability, long term care, annuities, illustration support, education, and underwriting. Tom Nicols and Steve Jones from CPS' Disability Department are very helpful and expedient in responding to questions and deadlines. Tom and Steve are always willing to go the extra step to help you out. They even helped us created custom brochures and flyers to our target market. I highly recommend their services should you need help selling DI Policies. Meghan & Gregg Pumphrey, Pumphrey Financial Services, Inc.
CPS is far and away the best General Agency that I’ve had the pleasure of working with. They are extremely versatile, handling Life Insurance, Annuities, Long-Term Care and Investment products. With my nearly 50 years as a salesman, I can count on their experience to assist me in handling any problems I may encounter. In addition, their friendly staff makes them a pleasure to work with. 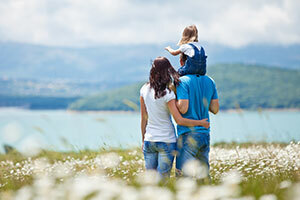 CPS Insurance allows my agency to focus on taking care of our client’s needs 24/7. All the carriers individual appetites, underwriting criteria, specific product details, placement and compensation is all handled by my CPS Team! I can trust that what they send me or tell me is accurate, professional, and on point with all product areas, and if we need a deeper dive into more advanced answers CPS Management and Tom Virkler, JD is top notch. After 30 years in the business, CPS is the choice for me and my team! Darrel Olson, Darrel Olson Insurance Solutions, Inc. I have had such great service and follow up from everyone I have worked with at with CPS. Their staff are very knowledgeable, friendly and quick to help me with what I need. I have looked for a long time to find a great resource for my disability business and I’m so glad to be working with CPS! After more than 25 years working with CPS I can still say that it’s a “Class Act”. As a small agency serving clients in Orange County, L.A. and Riverside... I get from Tom Nicols and the Team at CPS all the support and service that allows me to function at a high level of expertise and service. Tom and the Disability Team at CPS are ALWAYS my go to people. Though we have not done a lot of work with CPS you have always been available, helpful and generous with your knowledge and time. I do hope we’ll do more together in the future. CPS has been instrumental in my DI marketing. Especially in the small group area. They are extremely knowledgeable and are passionate in making sure that no one goes uncovered by providing very cost efficient options from which our clients and prospects can choose from. True professionals. I really appreciate their support. CPS provides excellent support with my DI sales efforts. Their industry knowledge is beyond comparison. Because of this, they are my first call when I have a new DI case or need additional guidance. Thank you Tom and CPS Insurance! I would like to express my appreciation for all the assistance I have received from CPS for answering all my questions on DI sales. Your office has been very knowledgeable about many aspects of sales and presentations in our practice. I recommend CPS to many sales professionals to utilize this company's assets. I appreciate assistance and the prompt quotes I receive for my clients. The DI sales dept has always been very informative as to which product may work best for my specific client. I very much enjoy working with CPS in all of their lines of business. When requesting a quote, I almost always receive an illustration or proposal within a 24 hour turnaround and often much faster. Further, they are always available and patient to go through the quote to make certain that I am accurately answering potential client questions and explaining the product features correctly. I have worked with other BGA’s in the past for our DI clients and I can honestly say CPS is head and shoulders above the rest all the way around. Typically a quick turn around when we send in a quote request, you can call or have your producers call with questions. Best of all, they follow up if they don’t get an app which I have found very helpful. You guys are so responsive even though I am a small producer. I appreciate the excellent assistance. Tom Nicols has always been great with DI. Goes over full details of quotes. Response time is quick. Our full agency recommends Tom Nicols at CPS. I would like to say thank you to CPS for their most valued support. They always make even the most pressing challenges manageable. It is wonderful to know that we can count on CPS for much needed assistance. Working with CPS is awesome! It can be difficult to master the details when selling different lines of product through multiple carriers but with CPS as a resource you can always stay on top. Easy to navigate website, useful tools and information with an expert available to talk all the time. I love the CPS website and I use it like my own back office for DI sales. I can request a quote, find marketing materials, product information and download applications when I am ready to complete a sale. It is well designed and it is the first place I go to for information. CPS DI Advisors are a blessing, and their knowledge is the foundation of our confidence when assisting prospects and clients with their DI needs. They are quick to respond and are truly there to help. They are generous with their knowledge and can make product and strategy recommendations you may not have thought of, which lends integrity to the overall process as this is passed on to consumers. We’re grateful for our invaluable relationship with all of our CPS Advisors. CPS, the "back office" that makes the everything run so smoothly for the agent. For many of us agents, working on several types of risks at a time is the norm. Keeping up with industry trends, carrier changes, policy types and endorsements is even more challenging when a particular product is not your main focus. That’s why when I have DI prospects, I turn to the team at CPS. It’s like having an in-house DI specialist. CPS provides me with the support, information, products and quotes I need to deliver top-drawer value and service to my DI clients every time. The marketing support side of CPS for disability insurance is exactly what I need. Since I sell Disability infrequently, I need a support team and a website that is up to date, and with CPS I exactly get that. CPS is an extension of my back office. Always very responsive and are willing to go the extra mile for me! They are who I turn to for life, disability and long term care insurance when I am unable to place an insured through my home office. The CPS DI Team has been a great resource for my business. They consistently support my needs for information, diverse quotes, and timely service to address my clients. My disability insurance portion of my business has grown dramatically through their support. I have had the good fortune to have worked for over 25 years with teams at CPS for both life and Long-Term Care products. The support has been absolutely wonderful. Just like the old bank promo “Daytime, Nighttime, Saturdays too, we open our doors” the good people at CPS go above and beyond in providing attentive, professional and comprehensive assistance. Even on weekends. How many GA’s out there give a broker the home and cell phone numbers of team members? Not many I’ll bet. And one more thing: the mantra at CPS must be “Service with a smile” because even though I can’t see them, I can hear it. I’ve been approached numerous times to switch to another GA. It simply ain’t happening. The reason that I LOVE CPS: They provide the service that our clients pay for and deserve - I cannot thank them enough!!! The sales team is on top of their game and on point, knowing their products inside and out and where each of their core carriers strengths are in the market. The case management team is top notch and on top of their cases. CPS would be a great upline to anyone in the insurance industry as they are fully staffed and knowledgeable in everything from A-Z in the insurance world. As an agency owner, I can tell you that being able to facilitate such a quality campaign through CPS is an unbelievable gift. It adds value to my agency through a broader range of products, plus it’s another opportunity to “touch” my clients and stay in front of them. Any P&C agent that’s not jumping on board with this program is losing out on an opportunity to cross-sell their clients, and generate additional revenue for their agency. The CPS team goes above and beyond to provide our advisors with responsive service, resulting in the timely placement of business. CPS provides me with the solutions that fit the unique needs of my clients. The support I receive makes it possible for me to be a successful independent producer. I’ve been doing business with CPS for over 35 years; you are truly the finest wholesaling company I’ve ever worked with. The superior support, professionalism and responsiveness to my business is unparalleled in the industry. CPS always processes my cases quickly, providing me with detailed status reports. Everyone on the team is in tune with my clients’ needs. The CPS team is incredibly responsive. They provide great marketing support, innovative sales ideas and strong case management. The support I get from CPS makes it possible for me to be a successful independent producer. Over the past year I was able to close and place more business than ever before and that’s because of the relationships CPS has built with me and with their carriers. With over 20 years in business, I couldn’t have done it without you. Thanks.